Discovered in the Columbia Basin of Washington State, this exciting new color sport of Honeycrisp is catching attention from coast to coast. 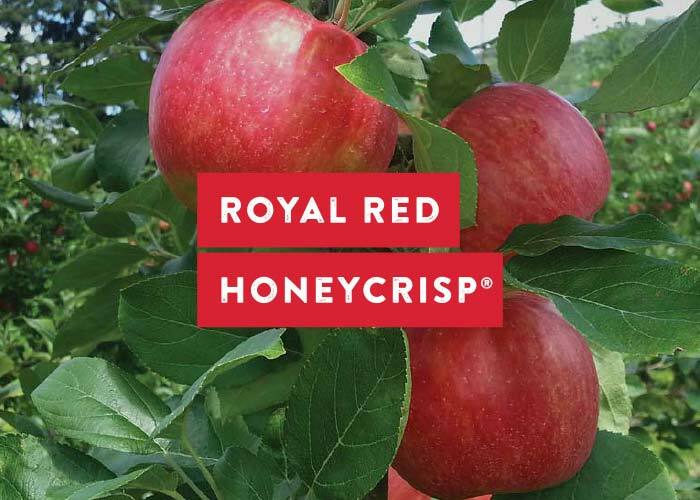 Royal Red Honeycrisp® is a blush type selection and maintains the crisp, juicy texture of its parent that so many have come to love. Beyond the high color factor, initial tests indicate that it’s improved storage characteristics may be equally important in improving pack-out. As with its parent, the tree is low vigor and care should be taken not to crop it too soon.